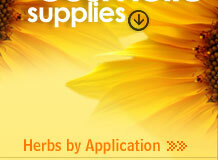 Wholesale suppliers and exporters of Violet Flowers and Violet Leaves. The plant has long been cultivated for its perfume, as well as being added to cosmetics, drinks, sweets, and syrups, and long thought of as the plant of ancient goddesses. Syrups are made from infusions and used to treat coughs. Mouthwashes are also made from infusions and used for mouth and throat infections. Flowers are good for skin rashes and irritant eczema. Decoctions from the flowers are used as an eyebath and mouthwash. They are also crystallized and added to desserts. There is considerably more to the common sweet violet (Viola Odorata) that meets the eye, although this hardy little perennial with exquisite flowers and broad, heart-shaped leaves is certainly attractive ... be it in the woods or in a shaded garden. However, it has also been used through the ages in medicinal preparations, culinary concoctions, perfumes, cosmetics, and dyes. Sweet Violets either fresh or dried are used in teas or baths for the soothing and slight astringent quality. Violets contain salicylic acid and are extremely high in vitamins A and C. Violet flower water (1/4 c. Violets steeped in warm spring water for 30 minutes, strained, bottled and refrigerated) is used on the face as a tonic and healing spritz for all sorts of facial afflictions. It is wonderful as an after-shave water or even as a wash for baby's skin. If the leaves and flowers are macerated in oil, strained and then beeswax added, this cream is excellent as a daily application to remove cosmetics, or can be used daily on your face and hands for dry skin. Pure, use in lip gloss, lotions & creams; for sealing corked bottles. Solid at room temperature. Violate flower and root contain an emetic principle named 'voiline'. It forms salts with acids. It is volatile oil. Roots contain several coloring matters-ionone and ionine. The plant also contains glucoside, methol salicylic ester and saponins. Sore throat. Fevers. The root is laxative, good febrifuge, tonic, expectorant, diuretic, it alleviates thirst, relieves inflammation. The medicated oil of Viola odorata is used for abdominal pain. It relieves cough and acts as sedative. The root is an emetic. A syrup, made from the flower petals, is good medicine for cough, hoarseness of voice. The syrup, when mixed with almond oil, is a gentle laxative for children and also helps to soothe irritative cough and to relieve sore-throat. It is considered antipyretic and diaphoretic and very useful in relieving febrile symptoms. In the 1930s, sweet violet was widely used to treat breast and lung cancer and still figures in alternative cancer therapies, especially after surgery, to prevent the development of secondary tumors. The flowers were once popular in syrups, which were used for a wide variety of complaints. The Chinese variety is used mainly to treat infectious skin conditions including boils. It is also used to treat snakebites and taken internally for lymphatic inflammations and breast abscesses. The aerial parts of the sweet violet are used for coughs, bronchitis, and phlegm. Use in Lipsticks: Colors are ultra-bright & transparent,Soft, light, moisturizing texture glides on smoothly,Subtly flavored with fruity sweetness,Makes your lips feel fresh, cheerful & supple ,Gives a long-lasting, wet & glittering look. Sweet violet leaf oil said to relieve anger and anxiety. An important essential oil used inperfumery. 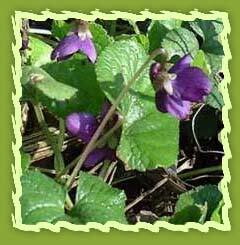 Sweet violet flowers and leaves have a gentle expectorant and demulcent action, and they induce light sweating. They are often used as an infusion or syrup for treating coughs, chest colds, and congestion. The flowers and leaves are used in British herbal medicine to treat breast and stomach cancer.